The Senate State Affairs Committee on Monday considered a pair of bills that would allow adult adoptees in the state to more easily access their birth certificates and medical history and would make it easier for adult adoptees and their biological parents to make contact. Being an adoptee in Texas means writing "unknown" across medical forms and being misinformed about your ethnicity, says Marci Purcell. On Monday, the Senate State Affairs Committee considered two bills related to adoption. 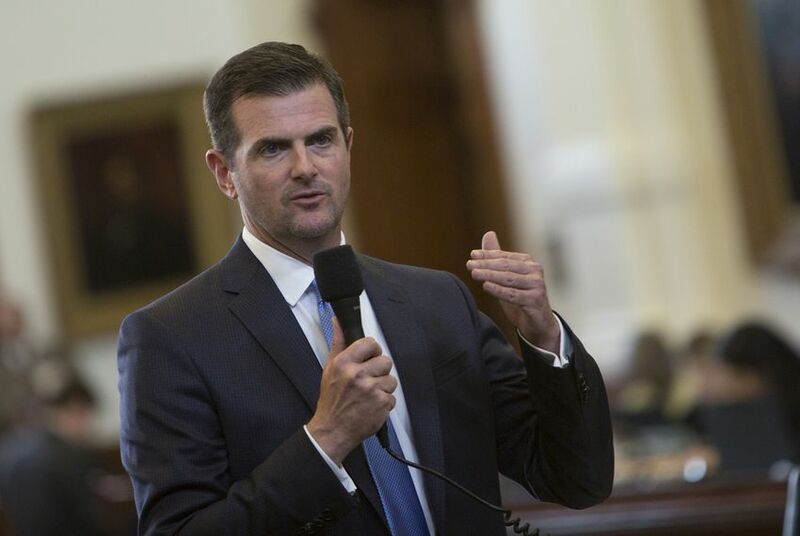 The first, Senate Bill 329 by state Sen. Brandon Creighton, R-Conroe, would allow adult adoptees in the state to more easily access their birth certificates and medical history. More than 40 people testified on SB 329 during the hearing, with a majority speaking in favor. Supporters of the bill say it would remove stress and anxiety that often come with adoptees searching for answers about their heritage and medical history. Opponents say it would invade the privacy of biological parents, effectively ending “closed adoption,” which conceals identifying information of the biological parents, in the state. Under current state law, adoption records are confidential, but an adopted person, once 18 years old, can request a judge to grant a court order opening the sealed file. Under Creighton’s bill, a court order would no longer be required for an adopted adult to access their birth records, including a birth certificate. “It’s beyond the scope and ability of the average Texas citizen with the nature of the court process — it’s daunting, expensive and doesn’t guarantee any success,” Creighton said. SB 329 would also create a form biological parents could fill out to indicate if they wished to be contacted by the child in the future. The form would be attached to the child’s birth certificate, so if a child ever sought their birth records, they would know their biological parent’s wishes. He said adoptees, once adults, need access to important medical history — information that could affect their lives and their children's. Pushing back against Creighton’s proposal, state Sen. Donna Campbell, R-New Braunfels, an adoptive mother herself, said his measure sought “to use a sledgehammer trying to get information out there” by taking away privacy rights of biological parents. Campbell filed her own legislation that was also considered in committee Monday. SB 1362 would direct the Texas Vital Statistics Unit, a state entity maintaining all vital record data for Texans, to notify involved adoptive and biological parents registered in the Central Adoption Registry about future contact. The registry, a division of the Vital Statistics Unit that aims to reunite adult adoptees with their biological parents, currently releases information or names after both the registered birth parents on the list and the child complete a one-hour counseling session ahead of their reunion. Campbell said the registry’s current participation rate seemed low, adding she thought it was because parents who had given up their child for adoption didn’t know about it. Lisa Johnson, a birth mom testifying against SB 1362, said the bill did not attempt to fix the adoption process or registry in Texas. Both SB 1362 and SB 329 have bipartisan support in the Senate, and the latter has a similar counterpart in the House. Both measures were left pending in committee Monday evening. Correction: A previous version of this story misspelled Marci Purcell's name.